Our Cuticle Oil Treatment helps keep your cuticles and nail bed moisturized, stimulating healthy nail growth. Egyptian Goddess uses vitamin E, nourishing Sweet Almond Oil, Grape Oil, Avocado Oil and Sesame Oil are custom blended in our Cuticle Oil Treatment to give your cuticles a natural and invigorating treatment. Usually when you get a manicure your cuticles are trimmed back. This will no longer be necessary if you use the Egyptian Goddess Cuticle Oil Treatment daily. Egyptian Goddess Cuticle Oil Treatment when used to manicure your nails, will improve, dry, irritated, hanging nails and cuticles. By massaging the cuticle oil treatment into the nail bed, and meantime gently pushing the cuticles back, this will help keep your cuticles trim and in their natural, healthy state. 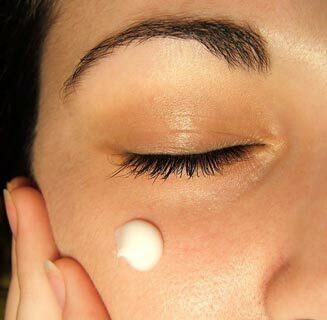 It's as if you were using a thick, rich cuticle cream, but this rich, thin oil quickly absorbs into your skin, leaving your cuticles soft and moisturized. Order your Egyptian Goddess nail treatment products today to protect your nails, strengthen your nails to have a healthy nail bed. 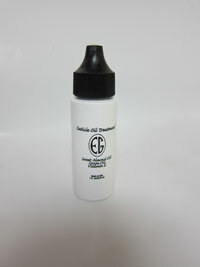 The Egyptian Goddess Cuticle Oil Treatment comes in a one ounce bottle. Our cuticle oil treatment comes in our signature, Serenity scent. We suggest keeping the Egyptian Goddess Cuticle Oil Treatment by your bed side and applying one small drop on each nail and massage it into your cuticle bed. By sitting still, you will ensure that the Egyptian Goddess Cuticle Oil Treatment is soaked in. Only use the Egyptian Goddess Cuticle Oil Treatment after using the Professional, Patented Nail Buffer. A wart, large and ugly, on the back of my hand, would not go away with several drug store remedies. As I used my cuticle oil treatment from "Dead Sea Spa Care" on my cuticles, I thought - try it on my wart - it sure can't hurt! I scraped the wart to allow the cuticle care to penetrate as other treatments directed and I used it daily for a time, as I noticed a difference. Lo and behold, the wart disappeared - It left the skin soft and with no scar. I had the back of my hand damaged from windshield glass.